I’m so excited this year to be partnering with the Shoppers Drug Mart Run for Women, a fun race that takes place in a few cities across the country. The theme of the race is such an important one: “It’s up to us!” It’s all about how it is up to all of us to encourage, support and communicate with each other to make sure we are taken care of. The run’s goal is to support women’s mental health programs in the race cities. Women are three times more likely to suffer from depression than men. I personally feel strongly about the cause, and love that it’s a running event. Research has shown that running can be as effective as medication at helping to deal with anxiety and depression; in fact, I wrote a feature for Flare magazine a few years ago about that topic, about how training for a half-marathon helped pull me out of a rough time in my life. Find a running buddy or join a run group. I mostly train with my friend Shawna now, but for many years, I would join the Running Room for their group runs. You can also check social media for running crews in your neighbourhood. Although there is something to be said for running alone (you can decompress and zone out, for example), I think when you’re starting out running, and trying to make it a regular habit, ensuring you’re meeting up with someone will help keep you accountable. Reward yourself. Make sure to treat yourself throughout your training and when you complete a race. After a month of training, get that cute running top you’ve been coveting. After completing your race, book a treatment at your favourite spa. Develop cues to get you to run. For example, I work from home, so I’ll put on my running gear in the morning if I plan to run later that day. There’ve been times I’ve been tempted to skip a workout, but I’ve just felt too guilty to change out of the running gear without having run. 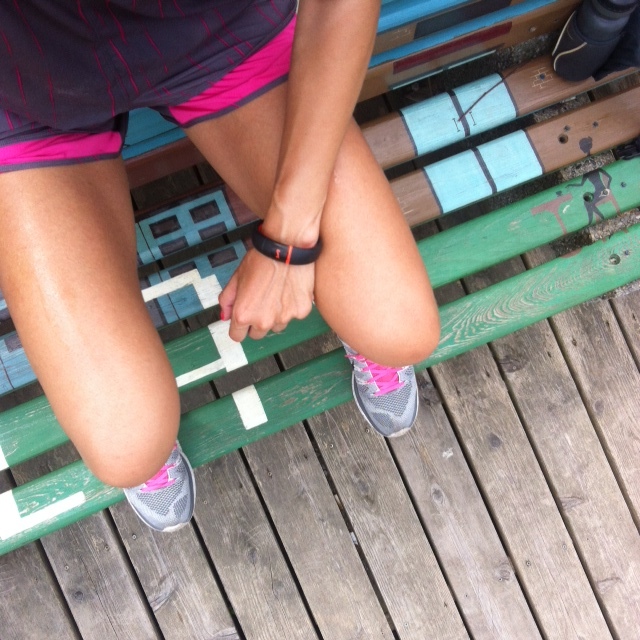 For you, you might find that having an alert in your calendar (or on your running watch) remind you that it’s time to go for a run will work, or that changing into your gear as soon as you get home and heading straight back out to run is the best way to ensure you don’t get pulled away into doing something else instead of fitting in your workout. Register for a race. I’m fairly disciplined with my training now, but I know I’d slack off if I didn’t have a race I’d paid registration for in my calendar. Not training and going to do a race could cause you to injure yourself, not to mention make the run pretty brutal to endure. Train regularly and you won’t be completely out of breath and in pain as you work your way through the course! Need a race? May I suggest the Run for Women? I’ll be participating in the Run for Women in Oakville on May 31st. That’s just six weeks away! There are 12 races around the country that you can take part in, some are this month. I hope you’ll consider taking part in one of the races — even better, gather your daughters, sisters, friends and make a gal pal day out of it (that’s what I’m doing!). Oh, there’s also a 1K race for girls under 12 if you’ve got some young runners amongst your group! What could be a more positive and impactful way to spend a beautiful morning than with women important to you in the name of women’s mental health? Hope to see you at the finish line in Oakville or to hear about your day at other Run for Women races on social media (I’m @healthandswellness on Instagram and @healthswellness on Twitter, and I’ll be sharing updates on my training and from the race day!)! Any questions? Ask away (running or Run for Women-related) and I’ll do my best to answer them)! 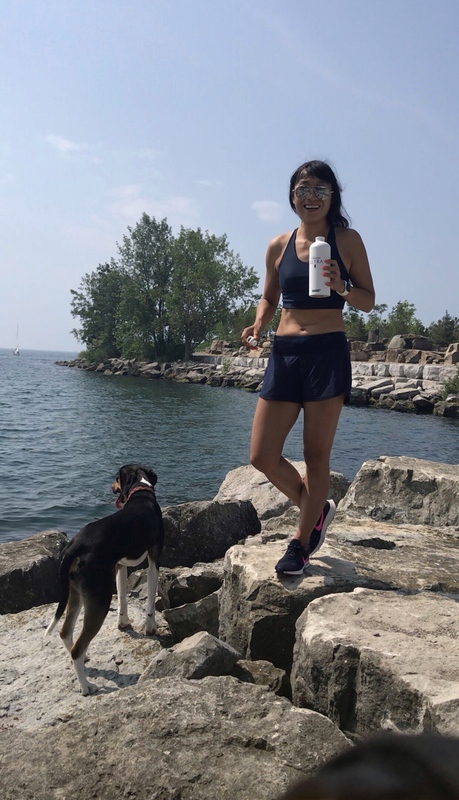 Besides more run club training options, Toronto runners who join in can also anticipate more services — so a nutritionist might come and speak about fueling for your runs, for example. The clubs are drop-in and free, so it’s easy to find people to run with if you’re downtown and you need the extra boost running with a group can provide (I know I find it helpful to mix up running on my own with a running buddy or group, especially for longer runs!). 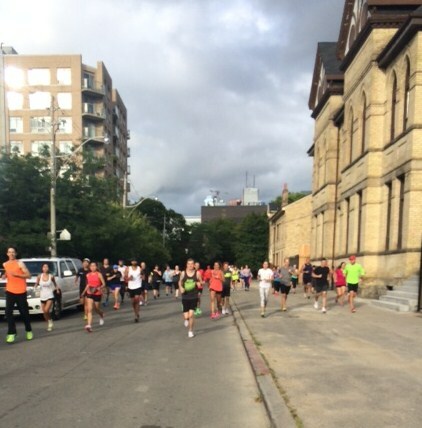 Check it out (and say hi if you do — I’m sometimes at the Queen West run club on Wednesdays! )!